RYDE is our signature spin class choreographed to the beat of the music and includes hand weights for a full body workout. Wear SPD cycling shoes, borrow ours free, or use your athletic shoes. 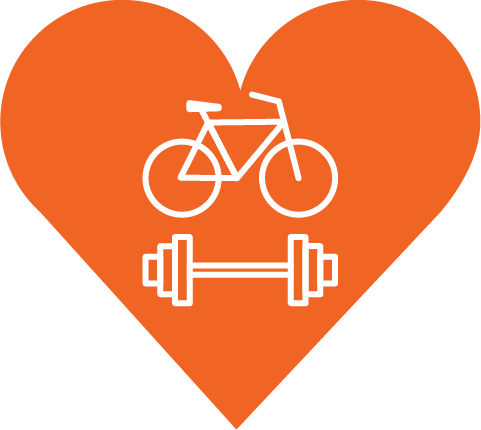 LYFT is a bootcamp strength class designed like a personal training session taking place entirely off the bike. You'll get a full body strength workout and we'll do things like deadlifts, squats, planks, and push ups. Wear your own athletic shoes please! RYDE + CORE is 75% spin classes with 25% mat based core, strength, and band exercises.